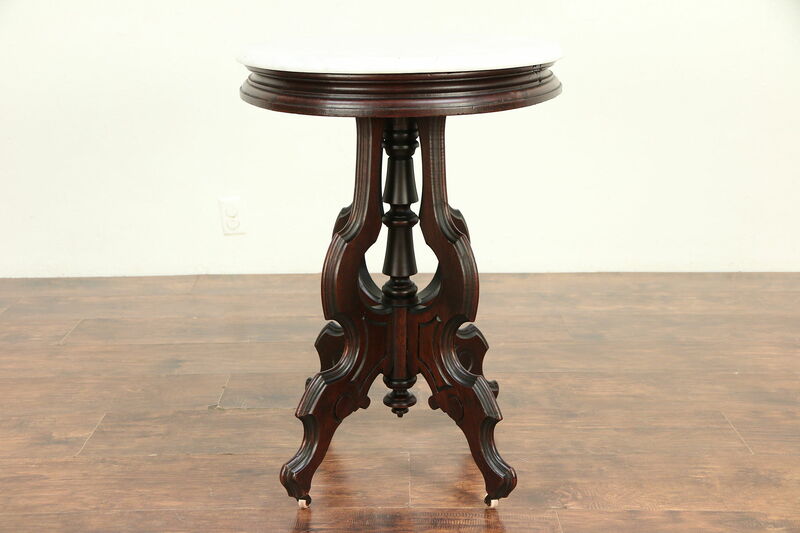 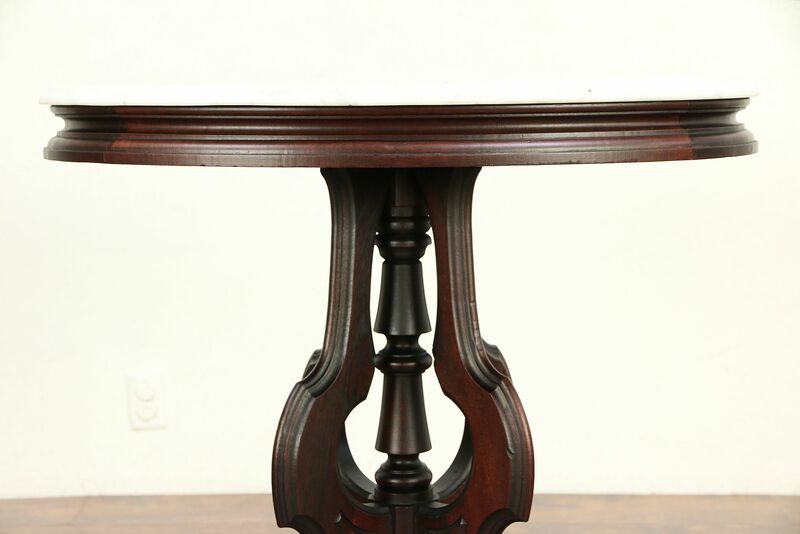 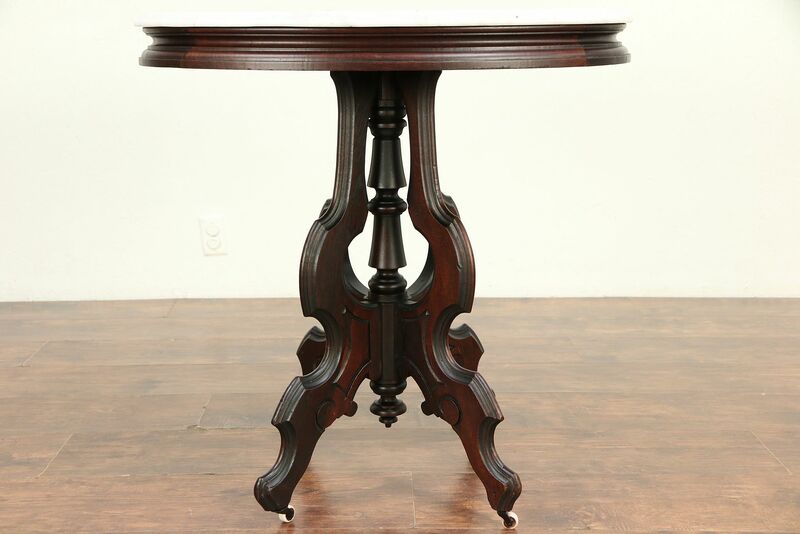 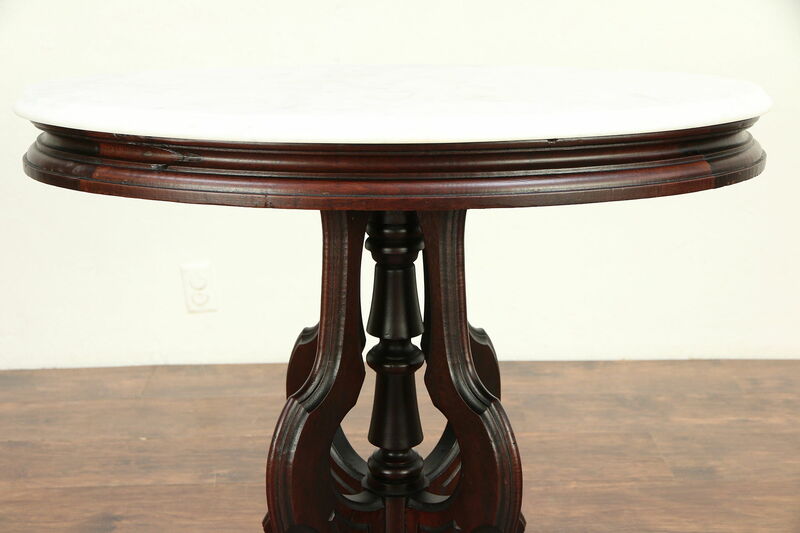 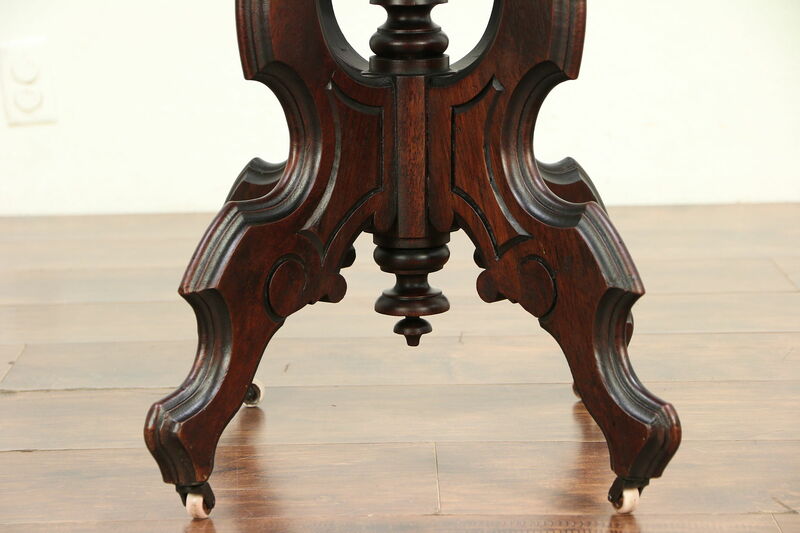 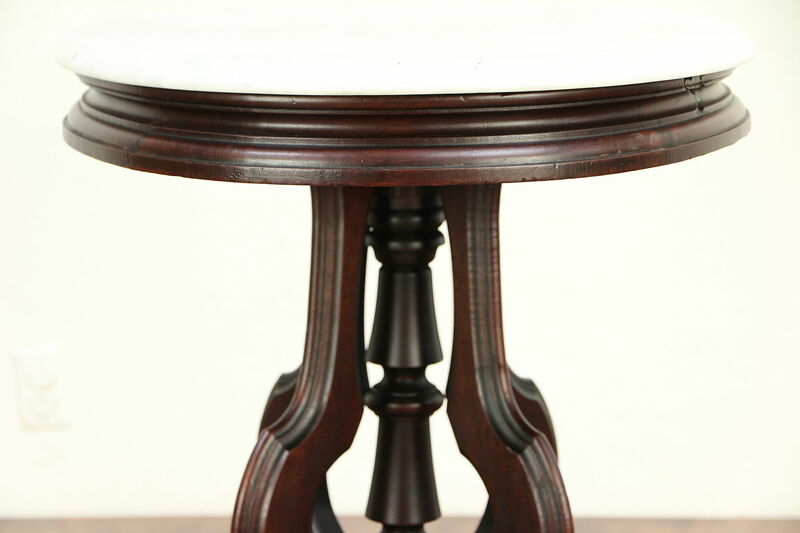 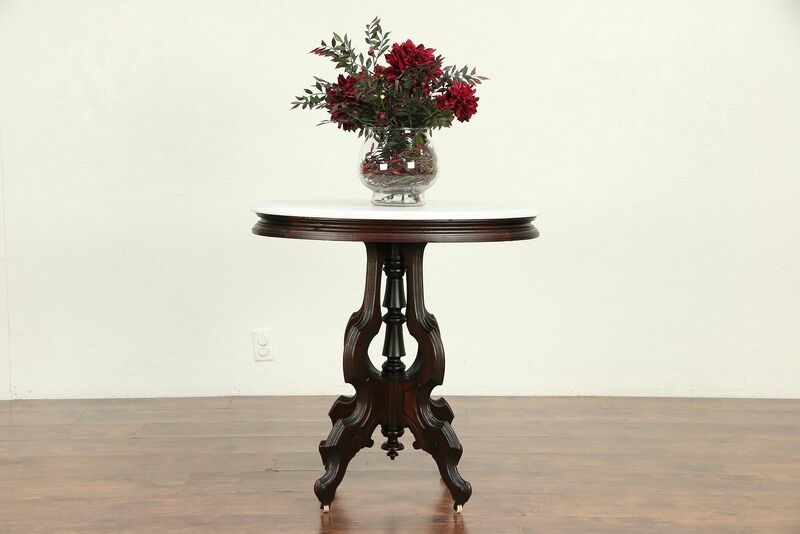 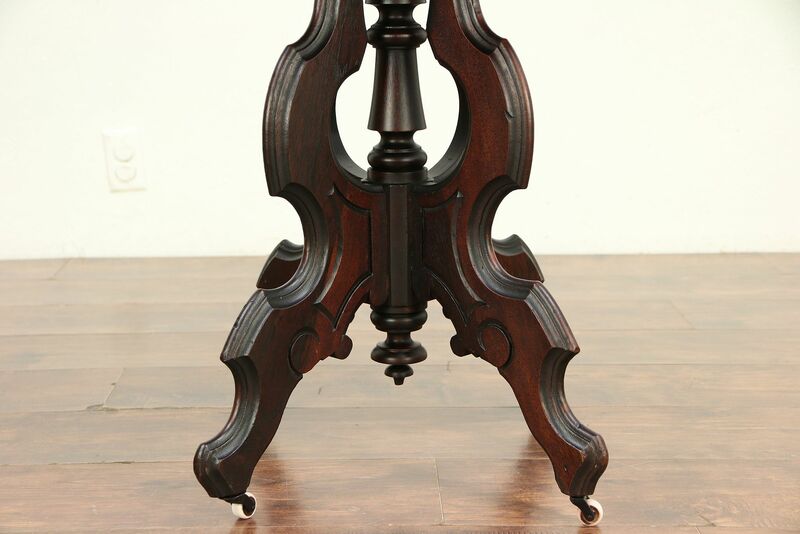 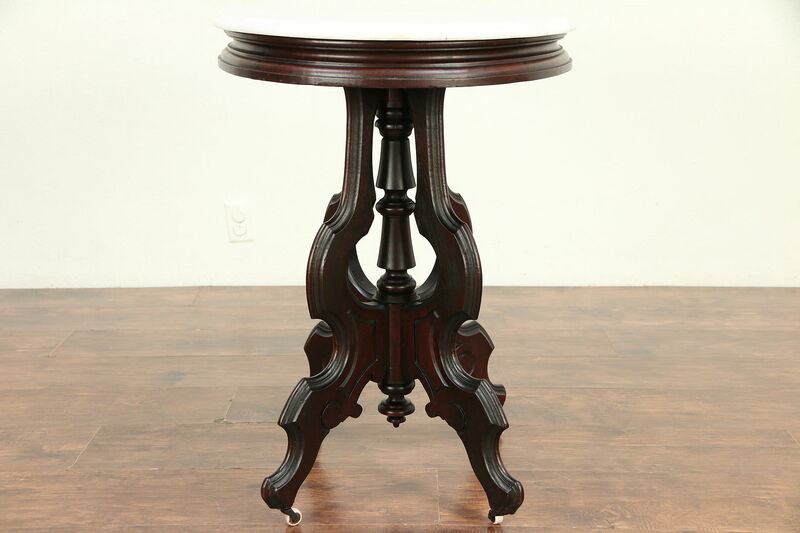 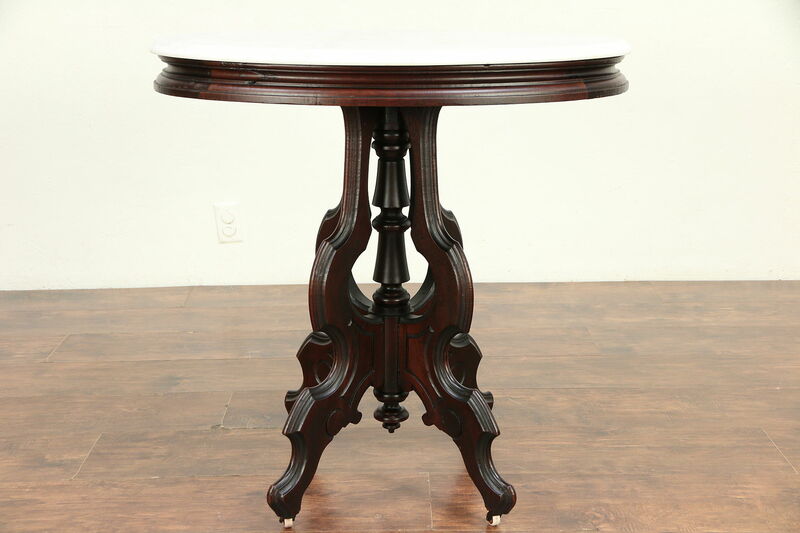 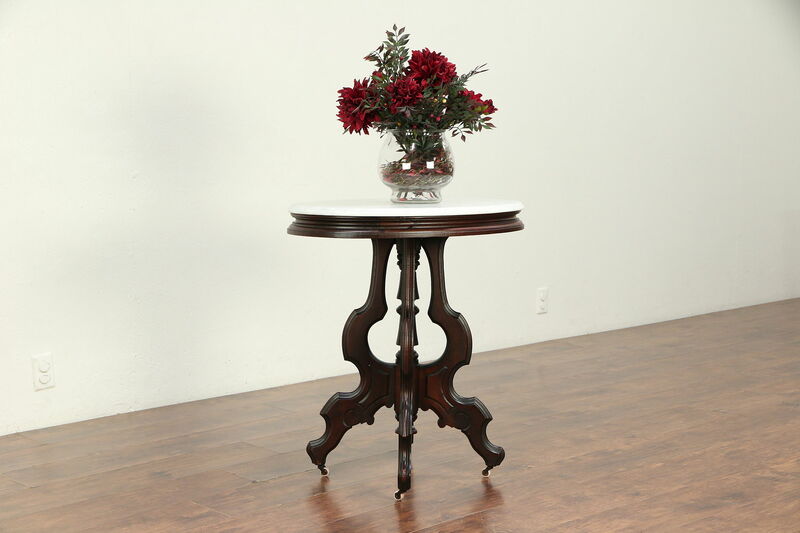 An oval lamp or parlor table is from the Victorian period about 1870, hand carved of solid walnut. 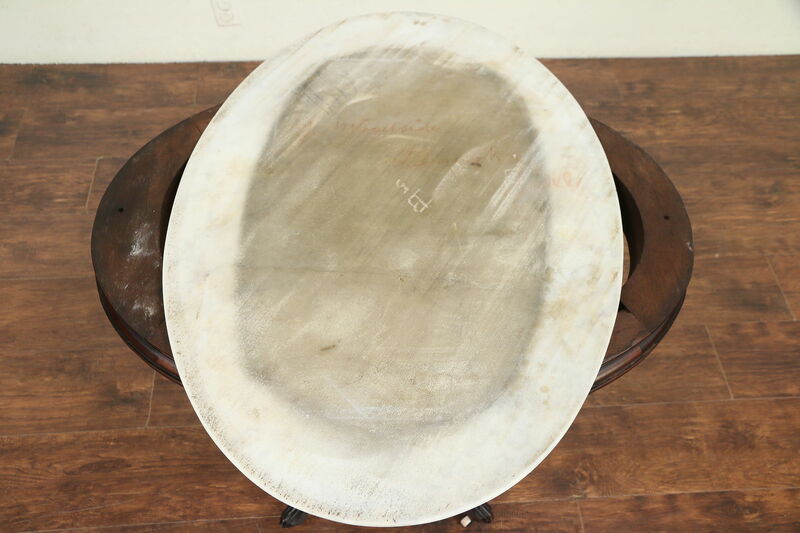 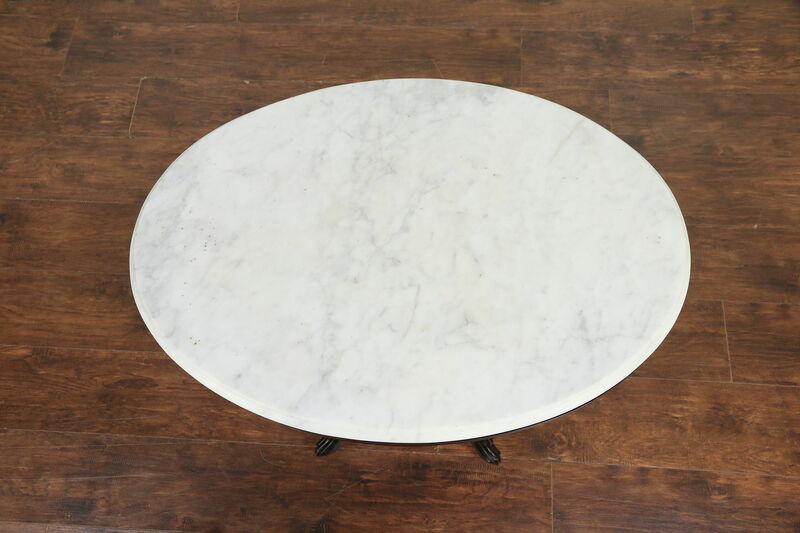 The shaped marble top has natural pits or bubbles, a few scratches and a hairline crack, see photos. 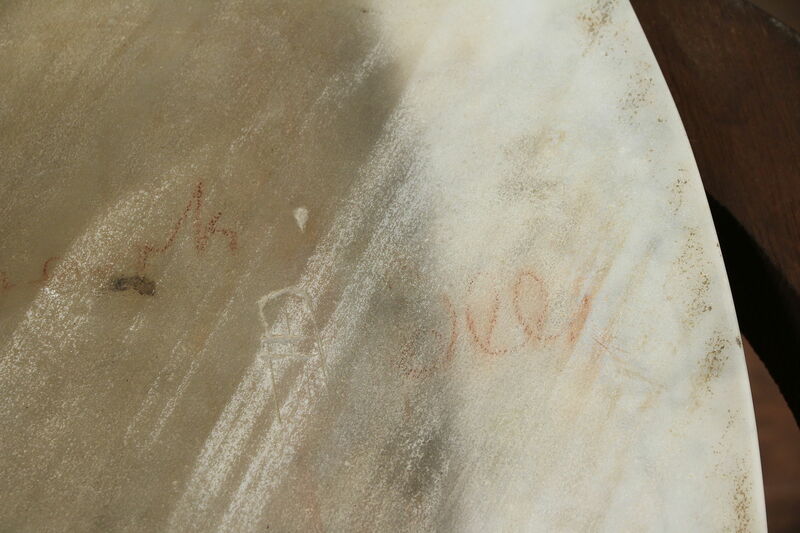 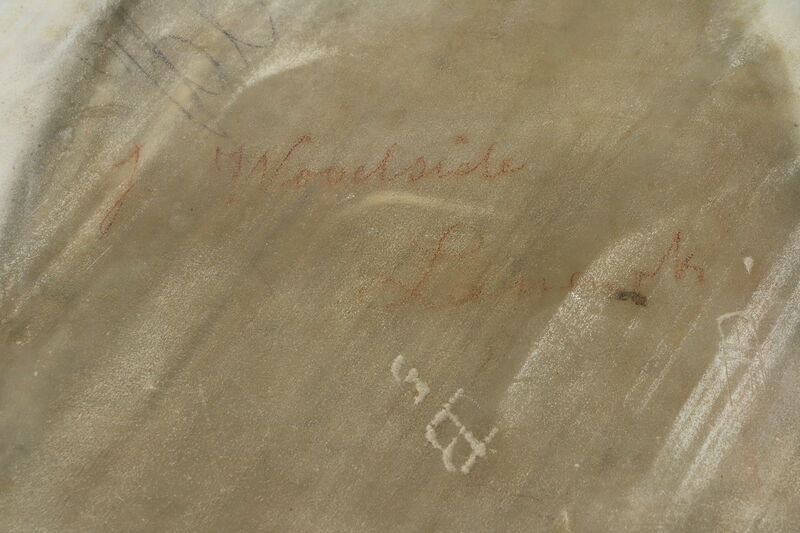 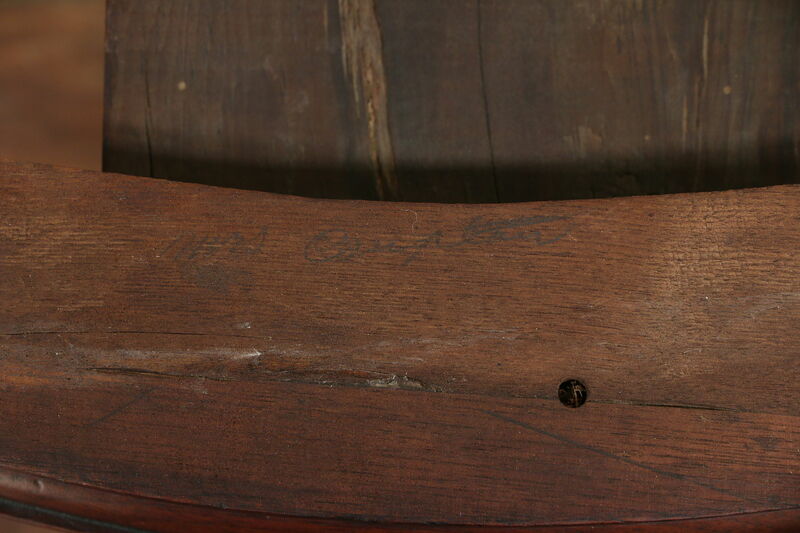 There are charming but hard to read signatures on the underside of the marble and on the base. 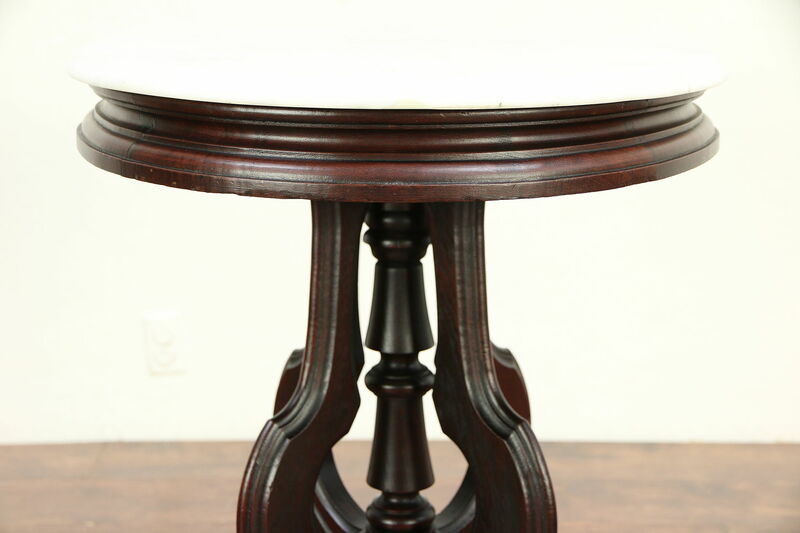 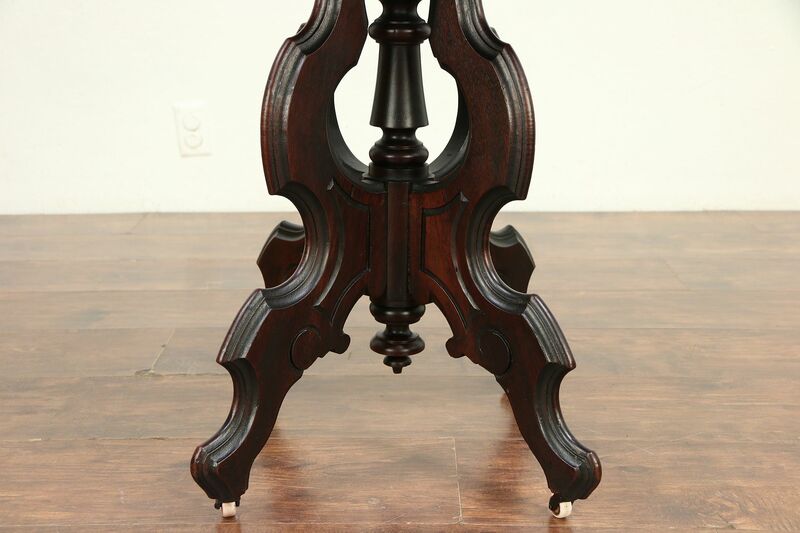 The restored finish is in excellent condition, the base has been reglued to serve another generation. 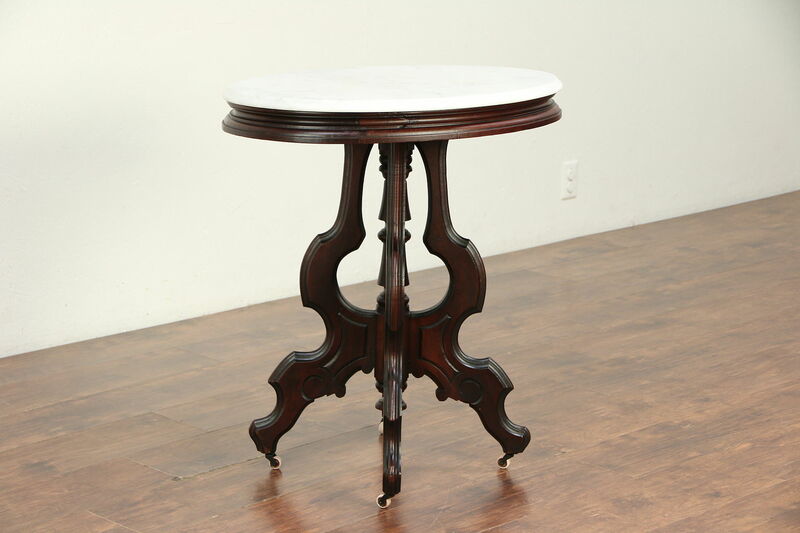 Porcelain wheels are original on this American made antique furniture. 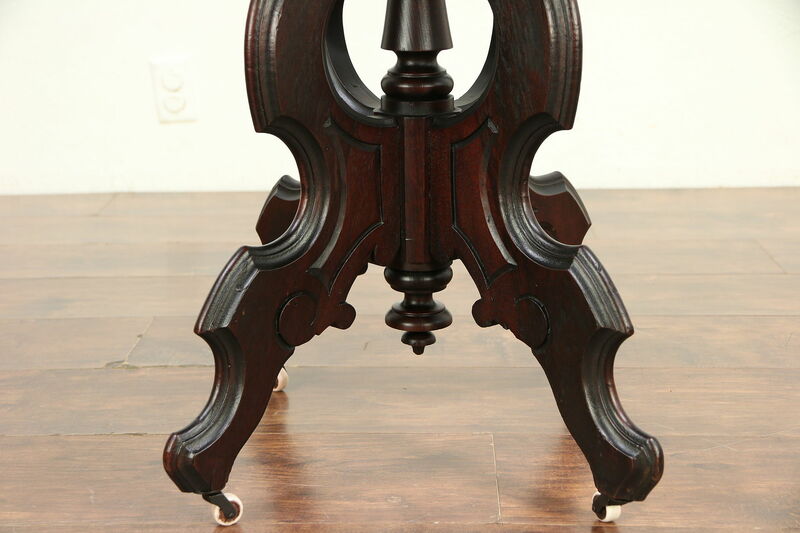 Size is 29 1/2" long, 21" wide and 30 1/2" tall.